My love for all things cold shoulder and off the shoulder are real. I've already proven this to you guys here and here and here. My love for the utility vest is also real. I don't think I have enough room in this post to link to all of my utility vest outfits. I've been seeing vests (and overalls) paired with OTS tops, and I've been wanting to try this. I liked how the vest grounds an otherwise flowy off the shoulder top and basically turns it into a cold shoulder. I loved how this ended up looking in real life. I always let out a sigh of relief when an outfit works just as well in real life as it does in a flay lay. I wore this to a super casual 90th birthday party for the husband's grandmother. I decided to go with non-distressed skinnies because off the shoulder plus rips plus fringe booties seemed like a lot of trends to throw into one outfit. 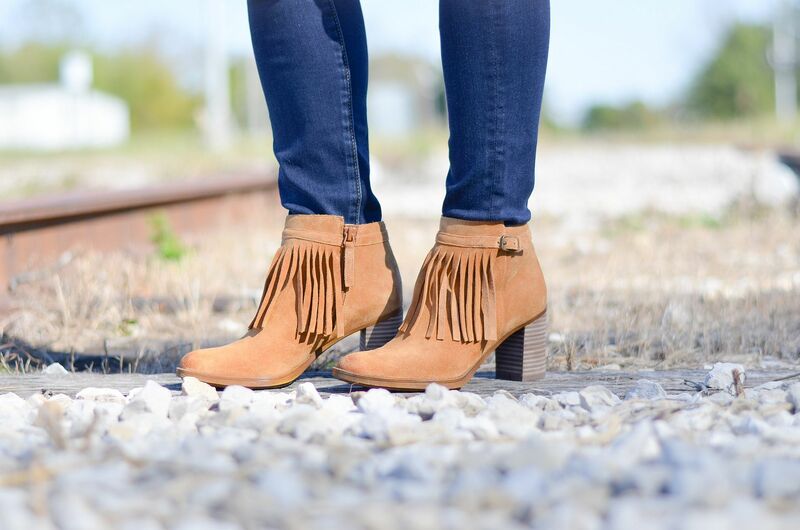 These booties though!!! My local Naturalizer store invited me to attend a Friends and Family event. They let us preview some of their latest styles and then pick out a pair to take home! I immediately fell in love with these fringe babies. I felt silly not even bothering to try on any other pairs, but why mess with perfection, right? Plus these were the last pair in my size, so I had a ninja grip on the box to make sure no one stole them from me! Ha! They feel like pillows on your feet though. I'm not even exaggerating. Remember the last pair of boots Naturalizer gifted me? And remember how much I wore them? I see the same fate for these booties. This weekend wasn't busy, but then it was!! We discovered some staples that had been inadvertently left in Petie, our rat terrier. The rest of them were removed about a week and a half ago, but somehow these got overlooked. Luckily, our local vet was able to remove them and we didn't have to drive an hour back out to the surgeon, but that threw our whole Saturday for a loop and we seemed to be behind in the rest of our errands as a result. The pup is worth it though, don't get me wrong!! It's just funny how a somewhat laid back weekend always ends up turning into a frantic, busy one!! Hope your weekends were good! 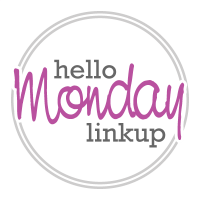 Thanks for stopping by and don't forget to link up and check out some of the other bloggers! Oh no how scary about your dog! Glad your local vet could remove the staples for you. On a lighter note, how fun a 90th birthday must be! I really like your outfit, the ankle boots are perfect with the fringing. Love the creative way to mix in transitional pieces. 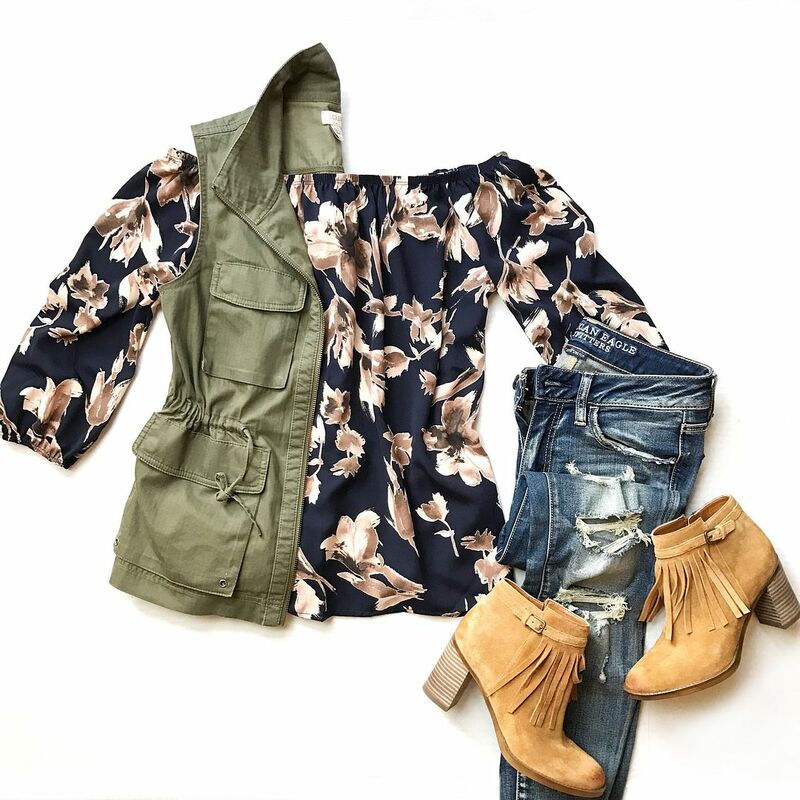 The moody floral blouse is so pretty, must have for the closet. WOW 90! Congrats to her! I know what you mean about worrying if your idea of an outfit will look as amazing when you put it on. But this one looks fabulous! I really love this CSGem top in both colors, love this combo. I love the vest over that top!!! And those boots!!! 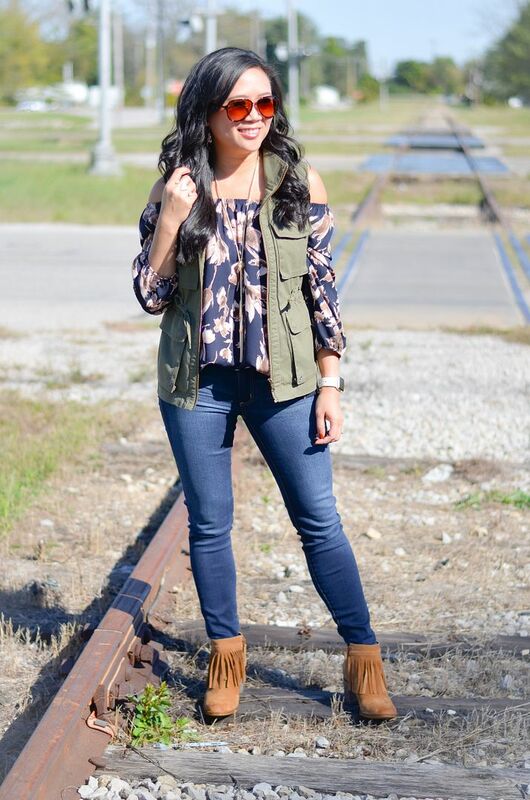 Love this OTS top paired with this cool vest! What a beautiful floral print. 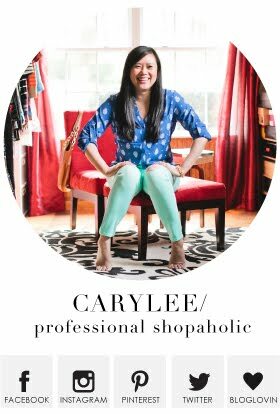 You styled this look perfectly Carylee! Thanks so much for the link up. Would not have thought about wearing a utility vest with an off the shoulder top but ABSOLUTELY love it!! You are always coming up with great outfits! I need to pull out my utility vest again--I keep forgetting about it and it's perfect with this outfit!! This is such a cute pairing! I would have never thought to put those together! 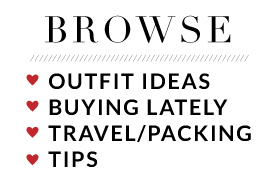 I never would have thought of putting a vest over a off-the-shoulder top. Such a creative idea. This outfit turned out perfectly for sure! I love the off the shoulder with the vest. Those boots are so fun too! EEk, I love this outfit! Never considered adding a vest to my off the shoulder tops. This is so cute! I just bought a cold shoulder top today so I might have to try pairing it with my olive vest, too! Glad you puppy is good, they certainly are worth it. 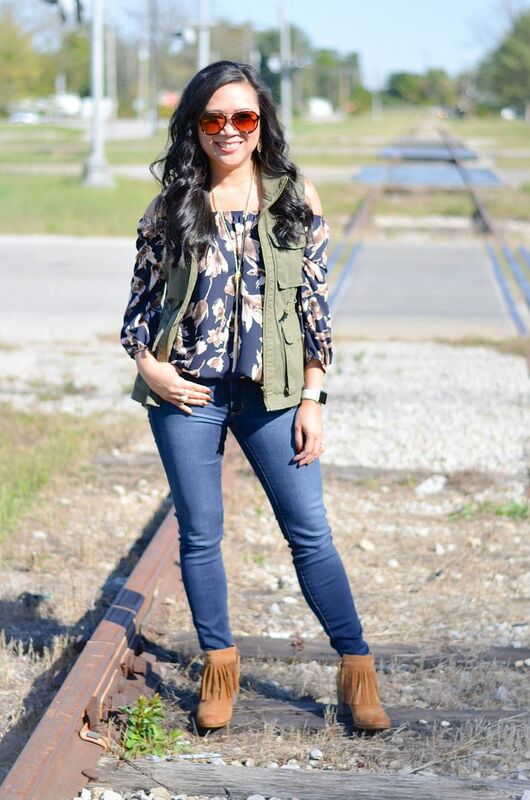 I love how you paired your off the shoulder top and the vest - very cool look. Thank you for hosting! This look is just about perfect... I really like the way you put it together! Can't wait to try it. I love how this combo turned out! 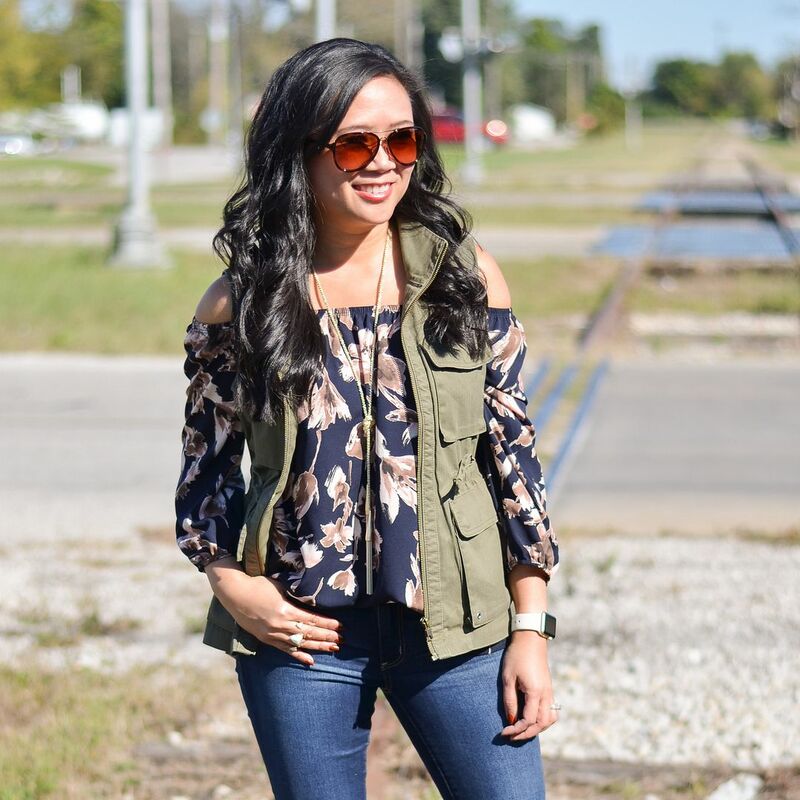 I love how that vest makes the off-the-shoulder top work perfectly for fall!